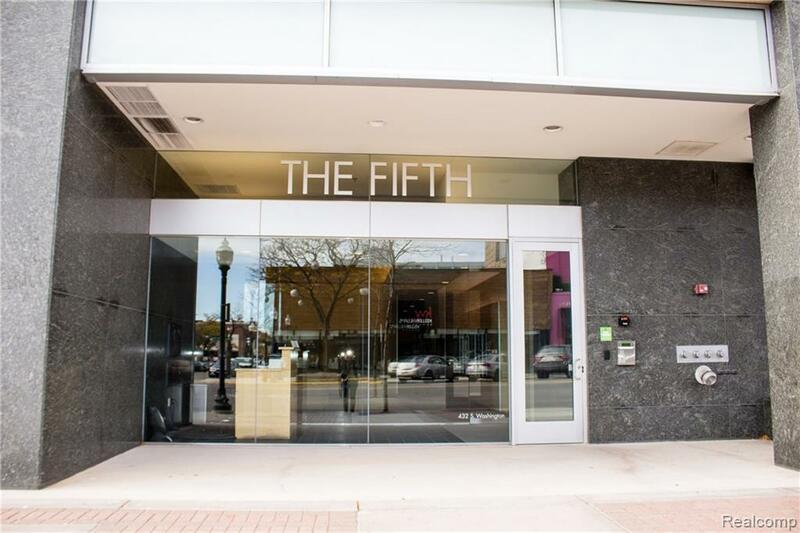 Welcome to The Fifth - Royal Oak's most luxurious high-rise! 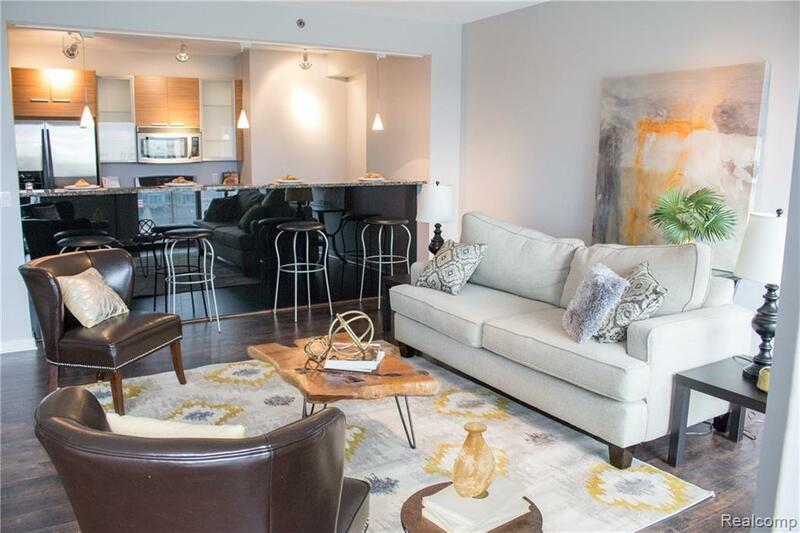 Take advantage of all the amenities including full service doorman, privacy/security, 24 hr fitness center, unit storage, bike storage and heated indoor parking space with remote control entry. 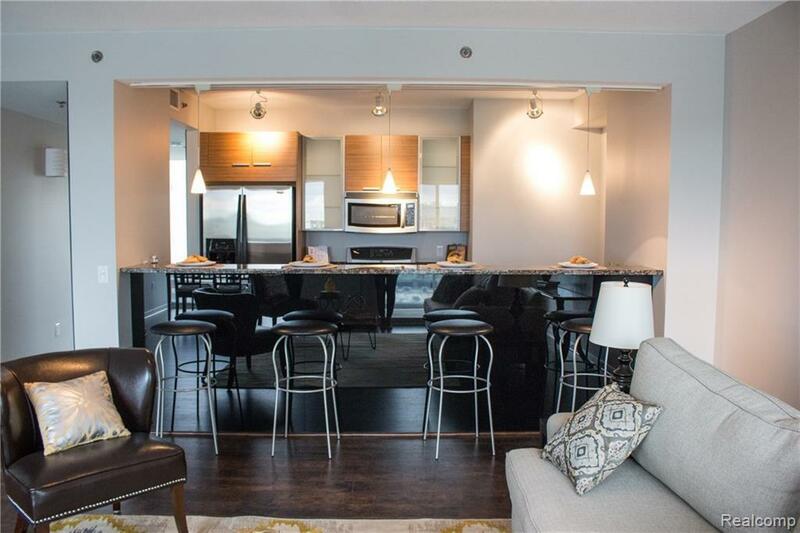 This 8th story unit offers incredible skyline views. Modern open floor plan with updated kitchen featuring granite counters, stainless steel appliances, and new hardwood floors throughout. 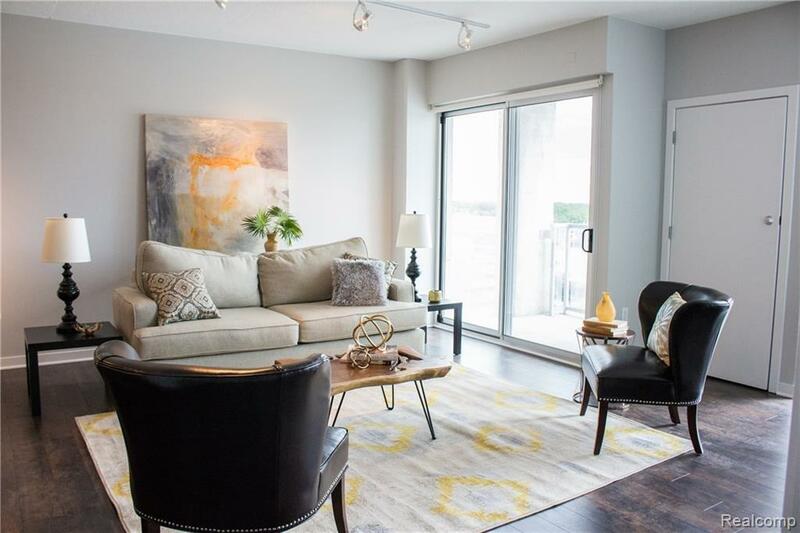 Living room is open to kitchen and offers a gas fireplace and flat screen TV. Light filled bedrooms with floor to ceiling windows. Master bedroom suite includes flat screen tv, walk-in closet and updated bathroom with tile floor, shower surround, and dual showerhead. In-unit washer/dryer. New paint throughout.